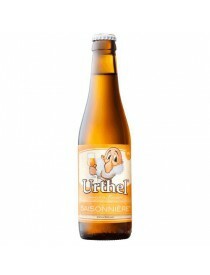 Vendita birre Urthel, shop online, prezzi - Grand Cru s.n.c. di Aprile Paolo &C.
One of the most creative brewers today is a woman, Hildegard van Ostaden. 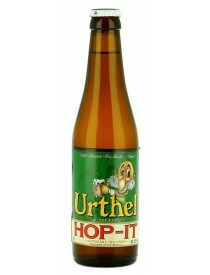 As brewer of Urthel from Ruiselede, West Flanders, she created Urthel beers in the authentic Flemish brewing tradition taking the time at Bierbrouwerij De Koningshoeven in Berkel-Enschot. Upon graduating from Kaho St. Lieven in Gent as industrial engineer specializing in brewery operations she spent four years teaching young upcoming engineers, supervising numerous projects under the auspices of Belgian and Dutch breweries. Urthel beers are unlike other beers. 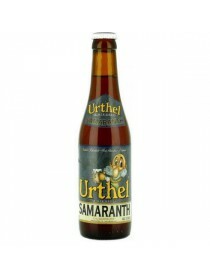 In 2010 Urthel Saisonnière won the prestigious World Beer Award. Now Urthel introduces three extraordinary specialty beers. Hildegard, la proprietaria del birrificio De Leyerth, dopo un viaggio negli Stati Uniti e aver assaggiato le Ipa americane, una volta tornata in Belgio decise di produrne una simile. Nasceva così la Urthel Hop it.